95 Wentworth St. S. , Hamilton, ON, L8N 2Y7 Near Wentworth St. S. & Main St. E.
Located in the downtown core in a quiet community on Wentworth St. This building is professionally managed by Effort Trust and we offer a certified on-site staff for tenant support 24 hours a day. Nearby amenities include restaurants, grocery stores, catholic/public schools, parks and local shops, and all major bus routes. 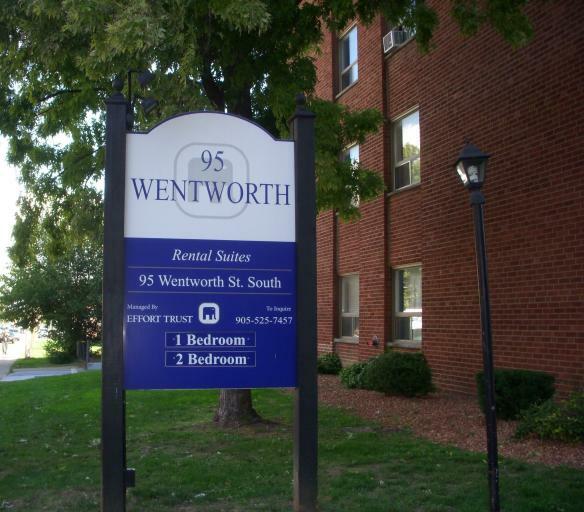 Call now to view our 1 Bedroom and 2 Bedroom units.